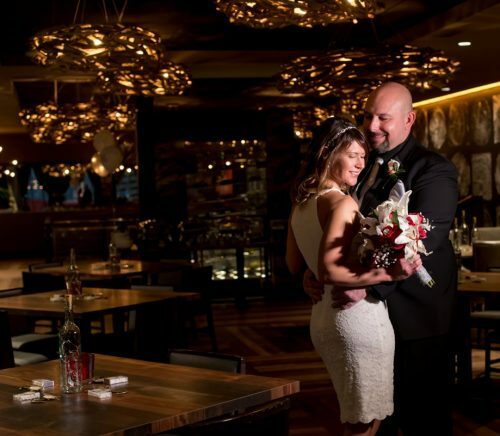 Roost is a non-traditional wedding and event venue nestled on the second floor of Revel + Roost, a two-story refined American restaurant overlooking Market Square. 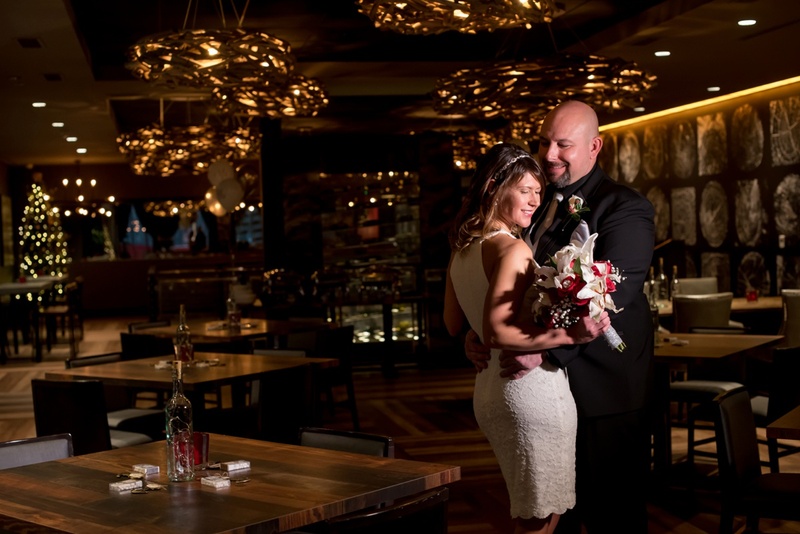 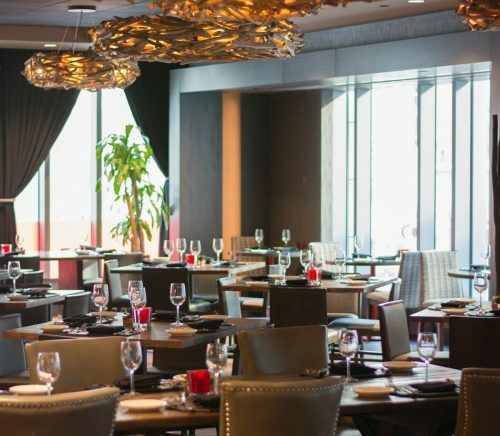 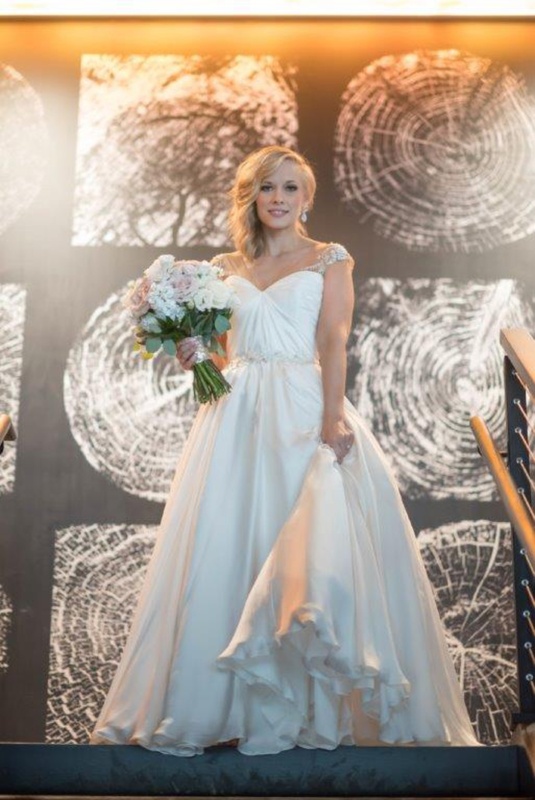 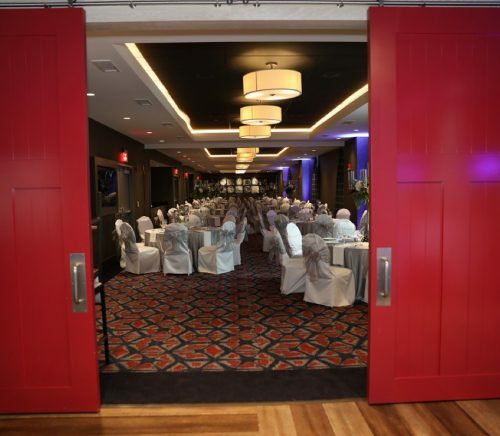 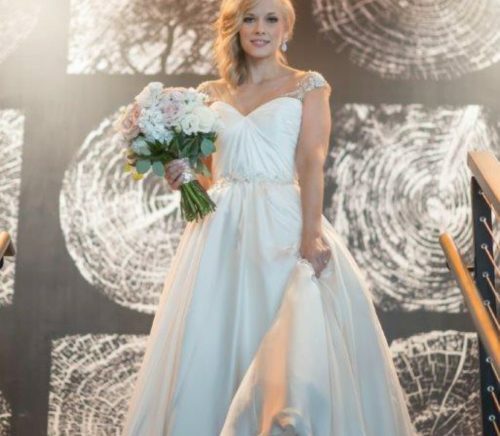 Located adjacent to the Hilton Garden Inn Pittsburgh Downtown, Roost provides everything you need for your big day with the support of a full hotel banquet department coupled with the urban chic vibe of a downtown restaurant. 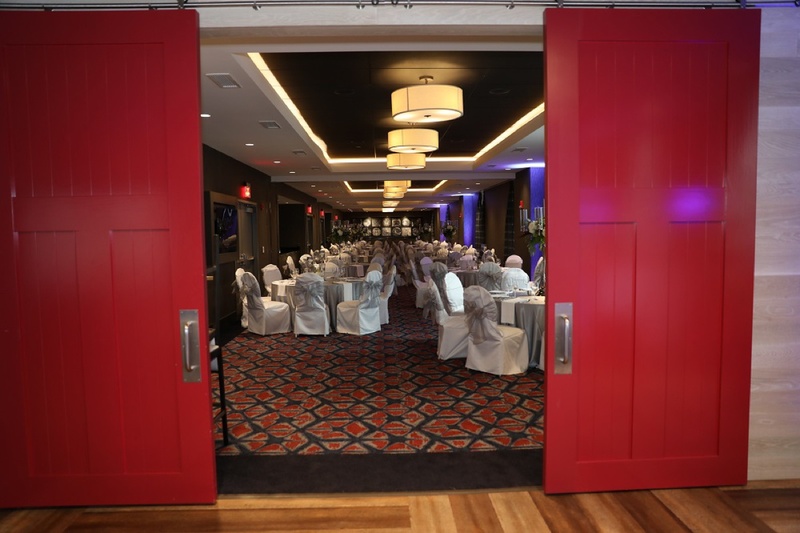 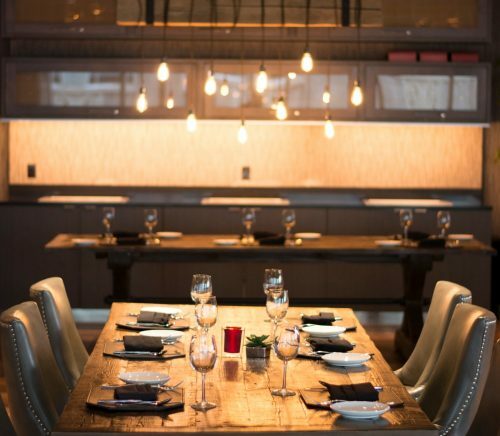 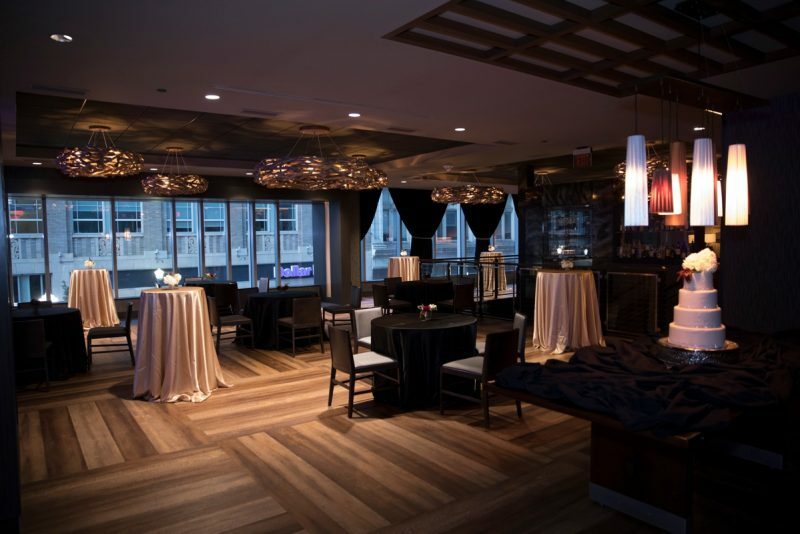 We opened in 2016 and have hosted events of all types in our four flexible private dining rooms and over 3,000 square feet of event space. 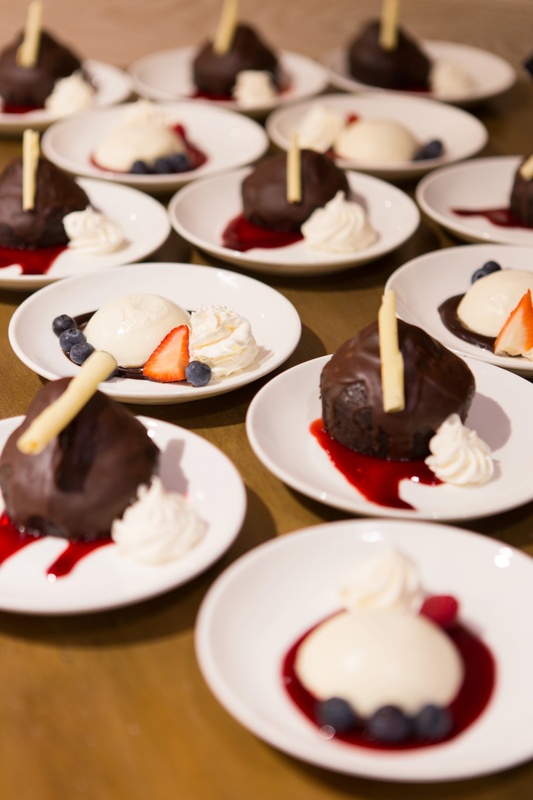 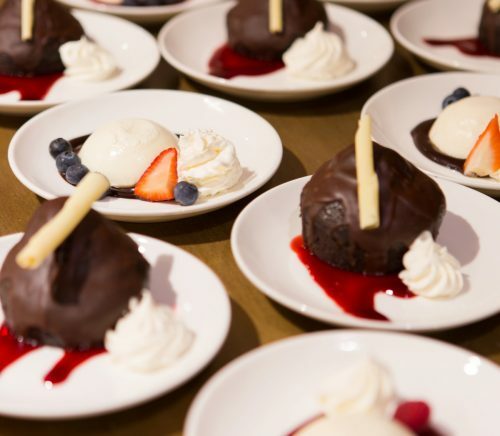 Beyond the ceremony and reception, Roost also offers packages for bridal showers, bachelor/ette parties, rehearsal dinners, and next day breakfast send-offs. 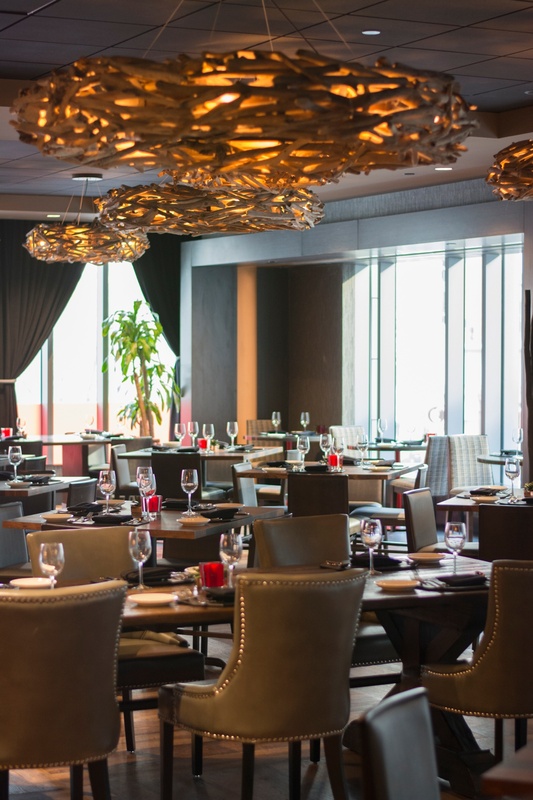 Roost is not your typical hotel ballroom. 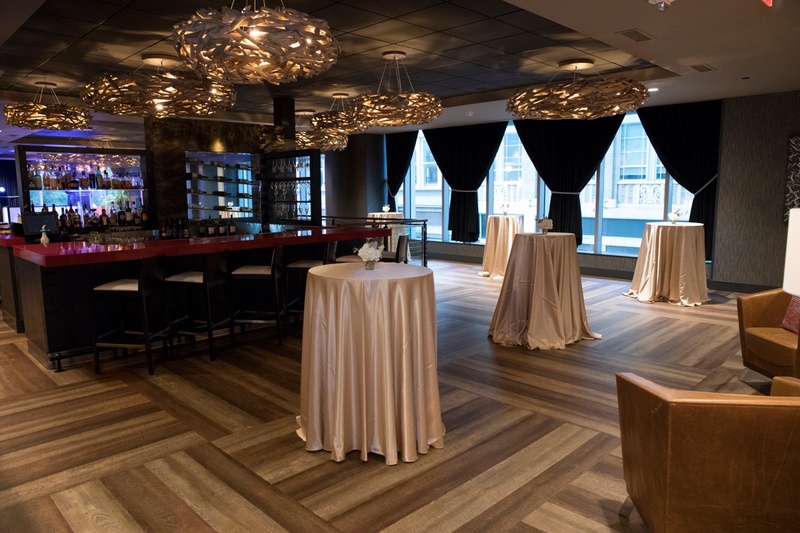 A custom wine rack leads guests up a metal staircase and into a chic lounge and bar area. 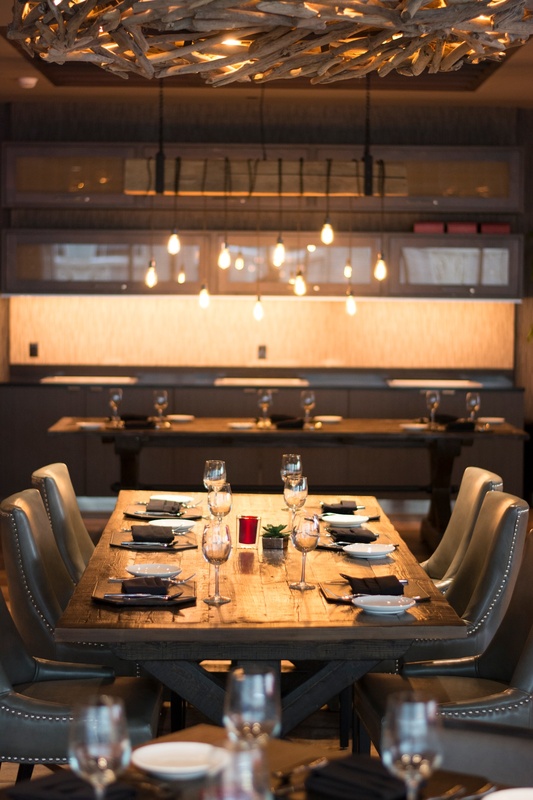 The ultra-modern design is juxtaposed by rustic accents including Roost’s iconic red sliding barn doors, oversized light fixture “nests”, and walls fingerprinted with tree ring artwork. 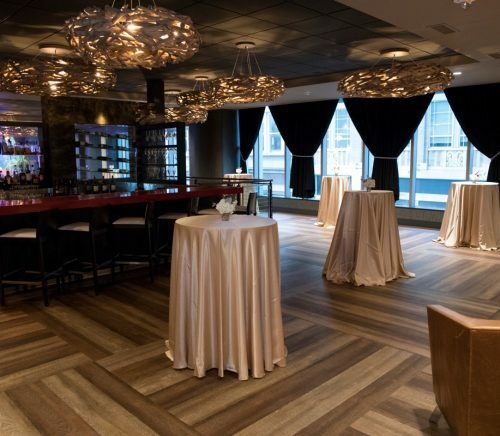 The large wall-to-wall windows provide a cityscape backdrop looking out into Pittsburgh’s historic Market Square. 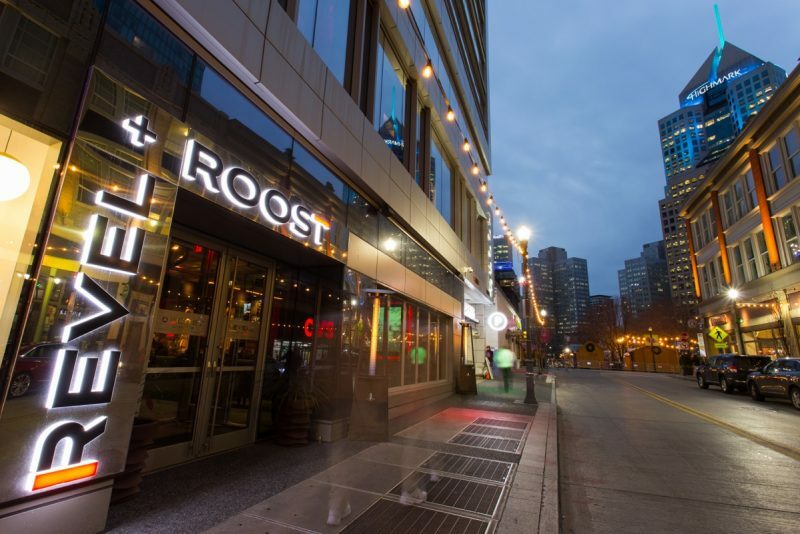 In addition to a beautiful interior design, Roost offers convenience to guests with on-site hotel blocks, parking in an attached garage, full catering and bar service, and additional perks for Hilton Honors members. 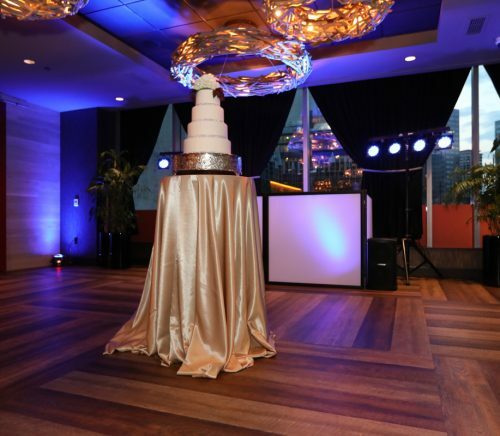 As part of the event design process, couples receive access to an on-site wedding planner familiar with traditional, non-traditional, and unique celebrations, and who is also certified by the Gay Weddings Institute in LGBTQ planning. 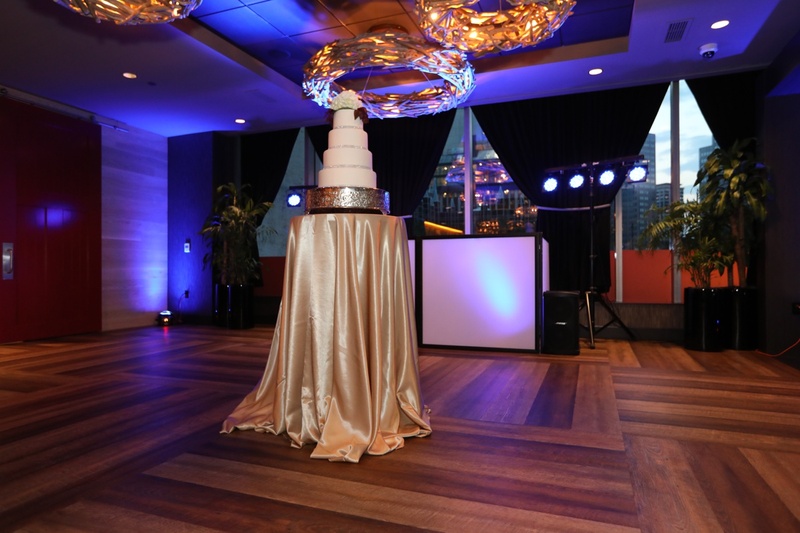 Our wedding planner can help with everything from menu design to coordination with preferred vendors. 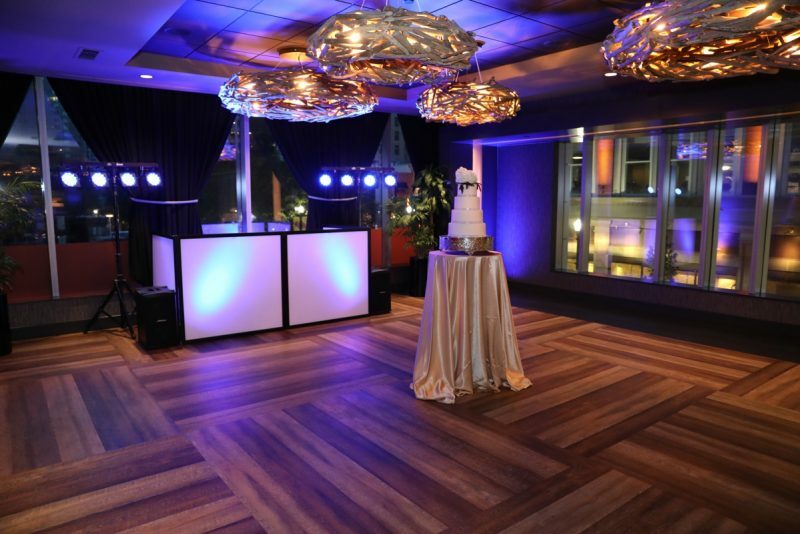 We cater to couples who are looking for an intimate, non-traditional wedding venue in a chic downtown location.